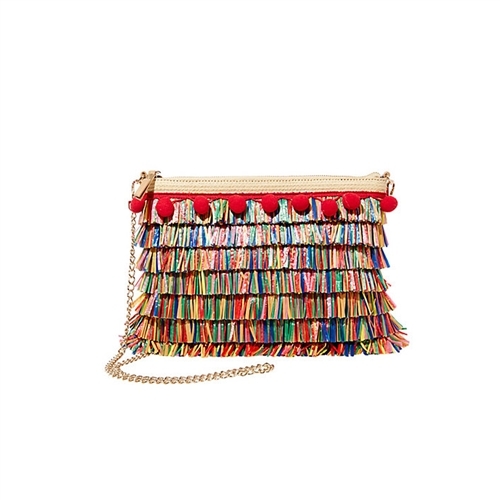 This festive Betsey Johnson crossbody bag screams that it’s Tiki Time! 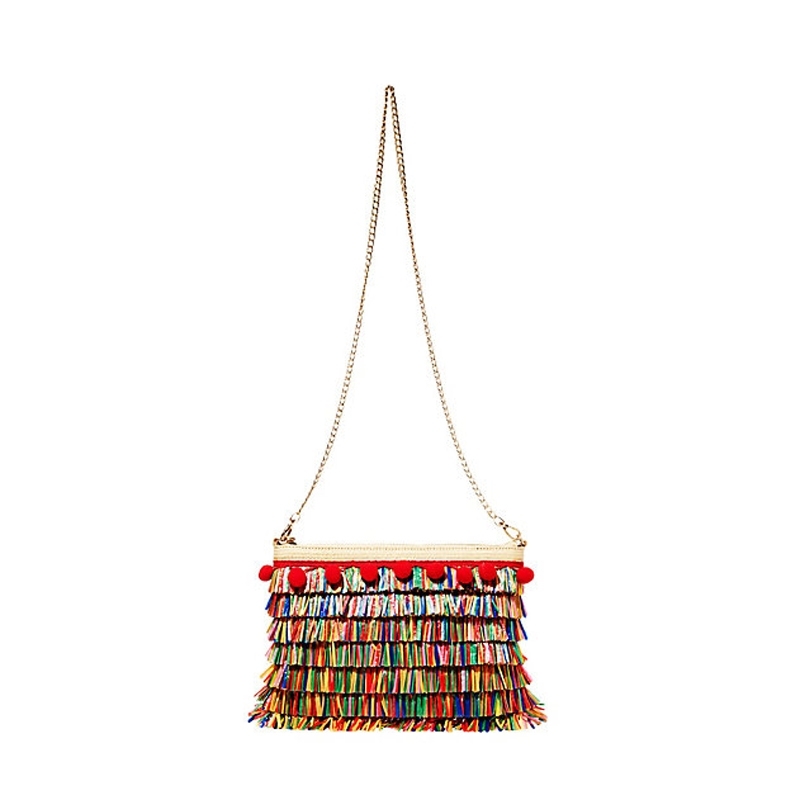 Its roomy silhouette features rows of multi-colored fringe and pom pom trim for a playful look and optional strap allows multi carry options. 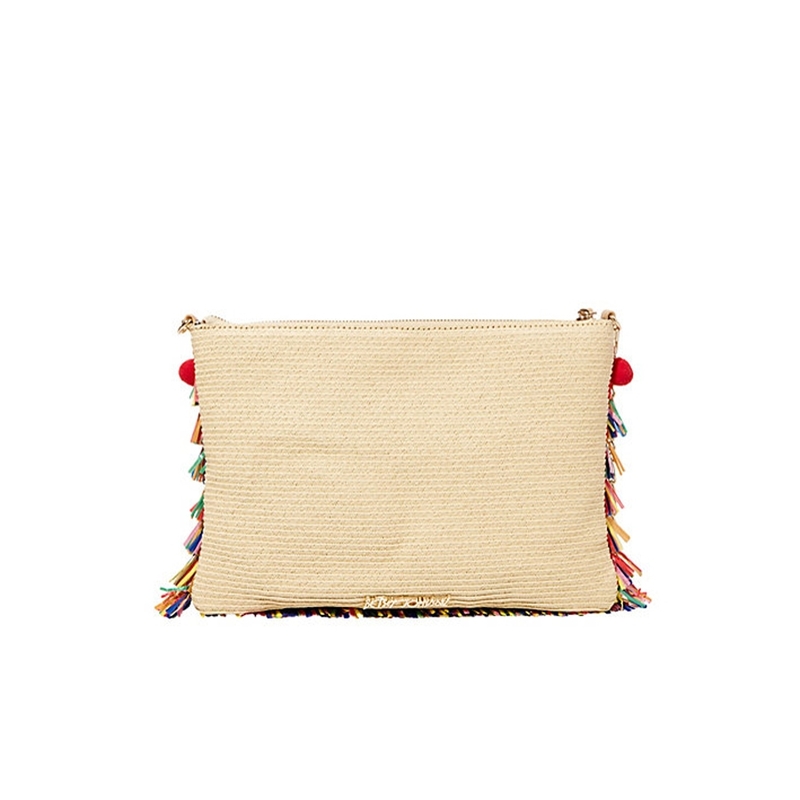 Convertible clutch crafted in raffia. Front features colorful layers of fringe. Optional chain strap w 20" drop. Top zip closure. Lined with zip and slip pockets.